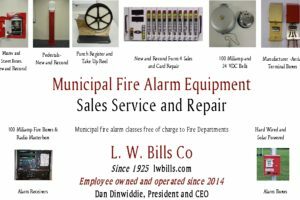 L. W. Bills Co. offers some of the lowest monitoring rates around, starting at $200.00 per year for residential and commercial. In some cities and towns, L. W. Bills Co. offers direct reporting of your alarm to the Police/Emergency dispatch center. Call or email for more info today.